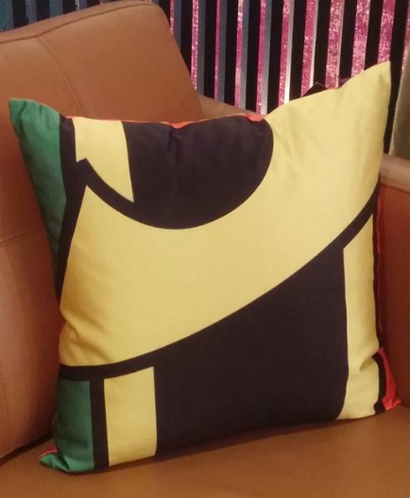 F.O.A.M.er Tyrone Biljan found this pillow, called "The Arthur" for sale at a Toronto designer furniture store, retailing for the kingly amount of $175! I have to say, I really dig it, it reminds me of the bold, thick-lined graphics seen during the opening credits to the first incarnation of Super Friends. Any Aqua-Fan is bound to sleep well with this beauty, thanks Tyrone! Decorate your own Spindrift Station!